I finally solved a problem with with IMAP folders not displaying the item count in each folder in Outlook 2010. Here’s how to fix the problem if you’re having it too. For example, I recently added a Gmail account to my outlook using IMAP. 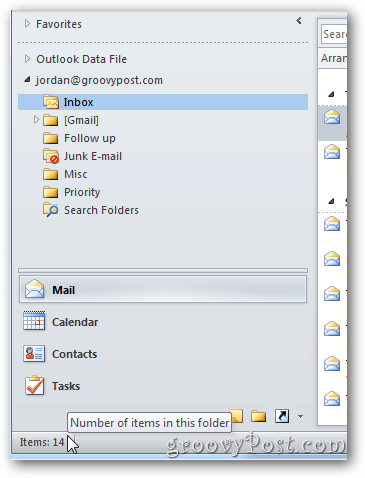 It’s the default when pulling emails using POP3 with Outlook. Yet, it isn’t a default with IMAP. Here’s how to fix it. 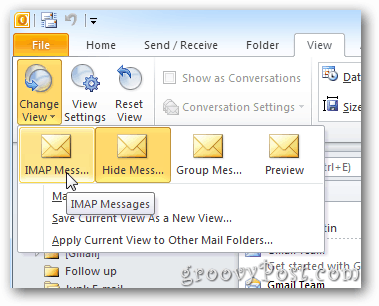 In Outlook, click on the inbox of your IMAP account. Notice at low left the below clip just says Filter applied — this is what we’re going to fix. Next go to the top ribbon. Click View. From here go to the far left and click the Change View dropdown button. Then click the option called IMAP Messages. The following dropdown menu will disappear, Outlook thinks you’re done, but you’re not. 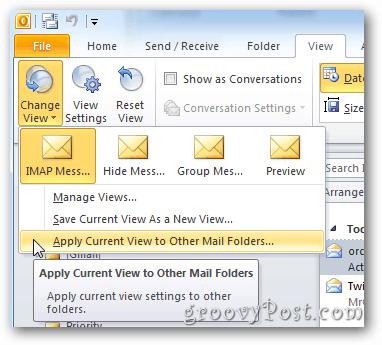 Click Change View again and click Apply Current View to Other Mail Folders. This brings up the Apply View window. Check the IMAP account where you want to apply the fix. Also check the box next to Apply view to subfolders at the bottom of the window. Click OK.
Now click any of the folders within that IMAP account and you’ll see the item count shows up at the bottom — instead of the useless — at least to me — Filter Applied message you’d get before. From all the reader email I receive, I know a lot of you have the same problem, and now you know how to fix it. 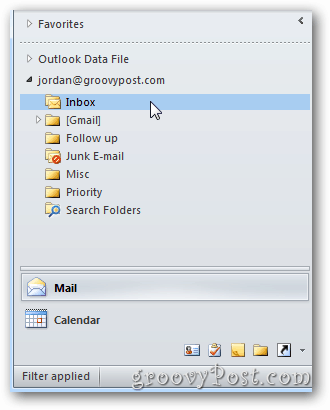 We’ve been collecting Outlook tips here on groovyPost — and upgrading the list regularly. Bookmark that page check it often. 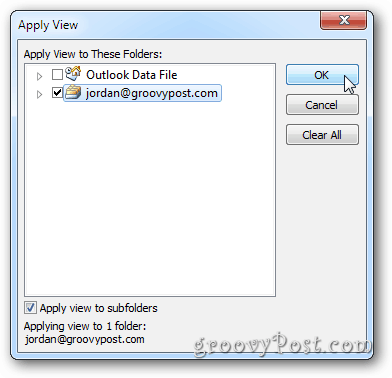 Email me or Steve@groovyPost if you have great tips, tricks, or even Outlook workarounds. We’d love to engage the rapidly growing groovyCommunity. Awesome! This worked like a charm! Welcome to the site. Thnx for the comment! Thanks for that! Woman in work being finicky so appreciate your guidance. The savior! No more wondering. Thank you!! Had to switch from POP3 to IMAP with Outlook 2010. What a headache!! One problem down and a few to go. Very helpful – almost 5 years later, still works in Outlook 2016. Great explanation and very useful tip. Thanks! Heya! Welcome to groovyPost! I love that the article helped solve your issue. Seven Years later – Love that!